Applebee’s is one restaurant that you can find pretty much wherever you go in the United States. It’s known for its family-friendly slogan of “Eatin’ good in the neighborhood,” and it draws crowds in for happy hour with one dollar drinks. 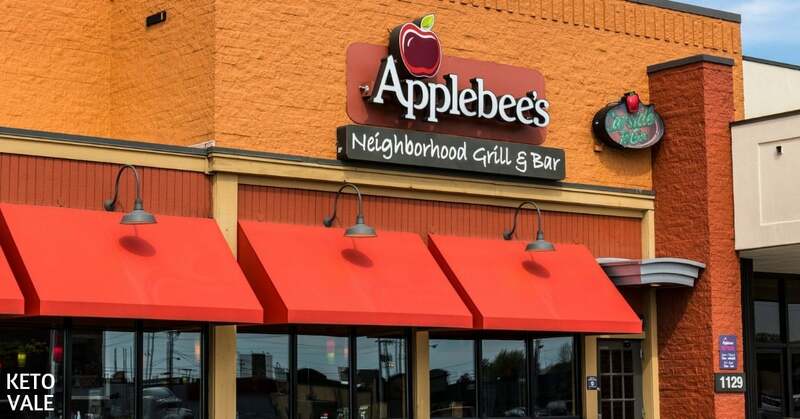 Like most American eateries, Applebee’s caters to a lot of different palates by offering dishes such as their whiskey bacon burger, Thai shrimp salad, and four cheese mac and cheese with honey pepper chicken tenders. 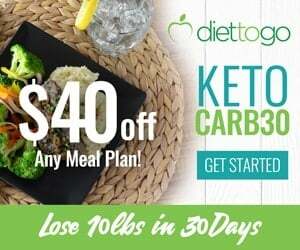 As you can imagine, it’s not always easy to eat low-carb with options like these, but with a little help from us, it can be done! Here’s how. 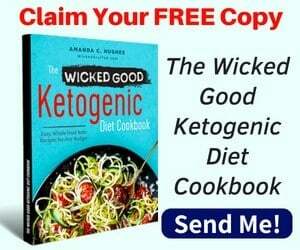 If you’re on the ketogenic diet or even a low-carb diet, then it’s always best to prepare your meals at home so that you have complete control over your ingredients. But that doesn’t mean that you can’t ever enjoy a meal out. You just have to know what to order. Keep in mind that although it’s a nationwide chain, Applebee’s doesn’t place a lot of focus on health. Although they have lighter plates available, the meats and other ingredients aren’t organic or pasture-raised, and they are probably cooked in vegetable oil instead of olive or coconut oils. The good news is that you can find the nutrition data for all of their dishes on the Applebee’s website before you venture in. Additionally, because Applebee’s is a sit-down restaurant and you’ll be assigned a server, it’s easier to customize your meals than it is at a fast food place. We recommend using the following tips to ensure you’re eating low-carb. Applebee’s is a popular place to hit up for lunch with your co-workers or even your boss during the week. If that’s the case, then someone might suggest sharing an appetizer. But with options like boneless wings, mozzarella sticks, and brew pub pretzels and beer cheese dip, you’ll definitely want to politely decline. Instead, order a side salad ahead of your meal so you have something to munch on if everyone else in your party is stuffing their face with chips and salsa. Applebee’s has a small Caesar salad on their appetizer menu for 220 calories. Order this without the croutons. Or you can get a house salad for 120 calories and hold the croutons and dressing (ask for oil and vinegar instead). Applebee’s and other chain restaurants hide a lot of unhealthy ingredients in their dishes that you can easily avoid if you’re aware of them. For example, a half rack of baby back ribs may only be 430 calories, but it’s coated in BBQ sauce that is full of nothing but sugar and carbs. Their chicken wonton stir-fry would be a good low-carb option, but it’s topped with wonton strips and a sweet and spicy sauce that you’ll want to avoid. Even their salads are packed with ingredients that take them off the low-carb list. The southwest steak salad comes with black bean corn salsa, tortilla strips, and ranch dressing, and the grilled oriental chicken salad has rice noodles and oriental vinaigrette dressing. Be on the lookout for dishes that contain any added sauce, dressing, or crunchy toppings. Low-carb dieters take note. This is a good standby dish for you to order no matter where you go: a piece of grilled meat and steamed vegetables or a side salad. Applebee’s offers a grilled chicken breast for 190 calories or grilled shrimp for 110 calories. They also offer steamed broccoli. Put the two together and you have the perfect low-carb meal. If for some reason your Applebee’s runs out of steamed broccoli or only offers starchy vegetables such as potatoes or squash, then ask for a bed of lettuce with oil and vinegar and put your grilled meat on top. 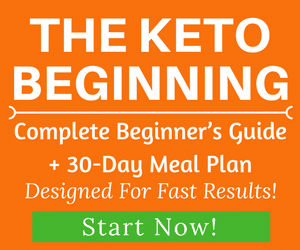 Ask to top it with other low-carb ingredients and keto-friendly foods, such as cheese, a hard-boiled egg, and bacon. Customize your own dish if you must! It’s tempting not to order a cocktail or sweetened drink with your meal, especially if everyone else at your table does. Applebee’s makes it even tougher because they have a bar that specializes in making fun and tasty drinks for as low as a dollar. Most people don’t pass up the opportunity to drink for pennies, but you’ll want to if you are on a low-carb diet. Alcohol and other sugary drinks count toward your total calorie and carb count, and these numbers add up quickly because they go down fast. Stick with coffee and cream, unsweetened hot or cold tea, or good old water when you visit Applebee’s and don’t even look at their drink menu! Applebee’s is open from about 11 AM until 1 AM each day. 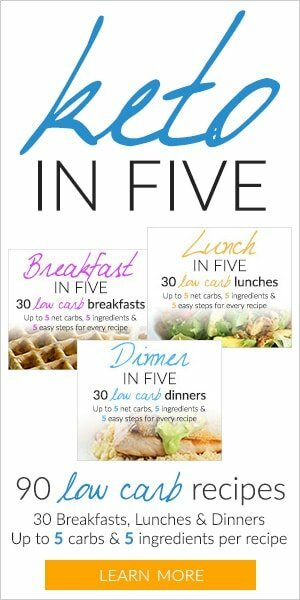 This means that you won’t be eating breakfast there, but there are plenty of low-carb dishes to order for lunch, dinner, or as a snack. Applebee’s offers pasta, tacos, and seafood dishes, but you’ll want to avoid most of these because they are breaded or contain too many carbs, such as rice and heavy sauces. Instead, stick with a burger and order it without the bun and sauce. 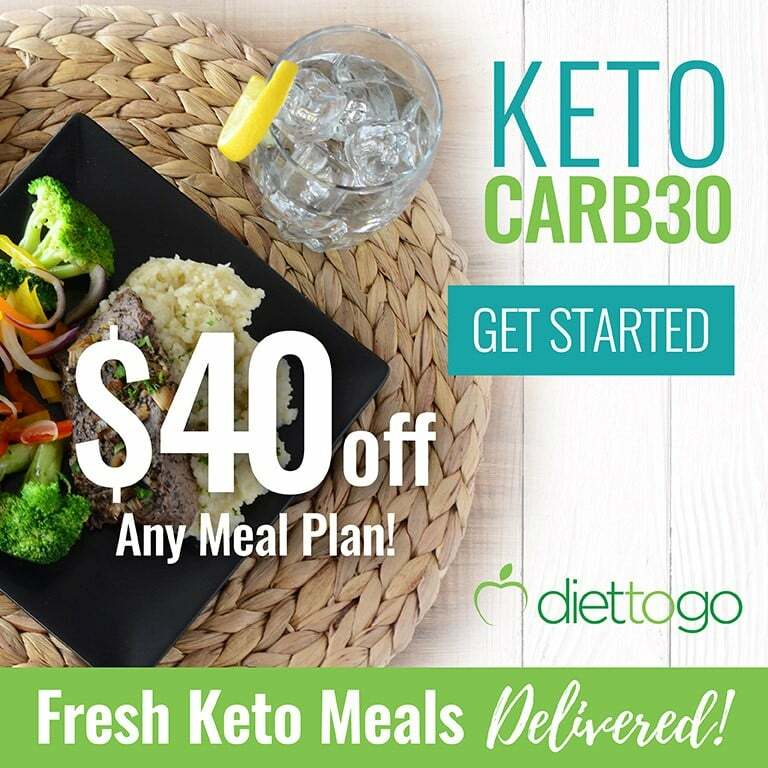 You can also get a steak at Applebee’s, which is a great low-carb meal. Get it with a side salad or double vegetable in place of the traditional potato that it comes with. 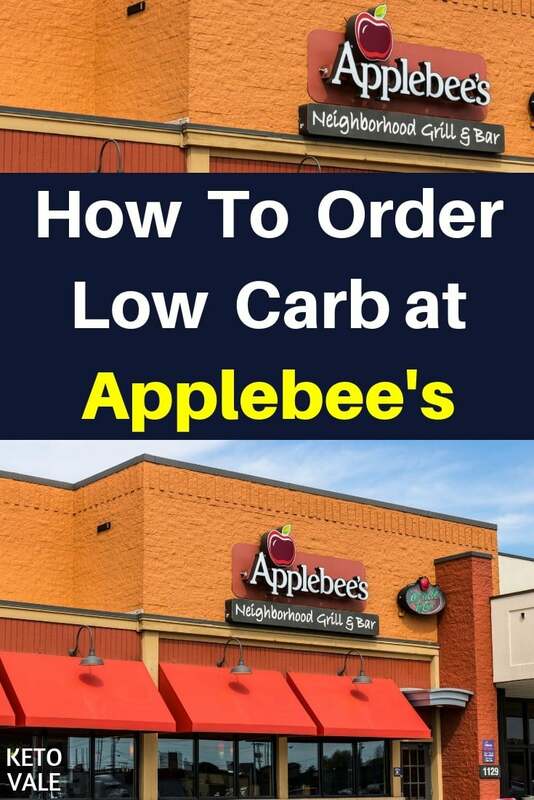 We’ve gone through the entire menu at Applebee’s and put together a list of how to order low-carb there. Just follow these directions. Some dishes at Applebee’s just aren’t worth the trouble of trying to make low-carb. We recommend staying away from the following dishes and sticking with ones that make our list of safe foods to eat at Applebee’s instead. Applebee’s is a pretty common staple in the United States. You’ll find one just about anywhere you travel, so chances are you’ve dined here before or will sometime in the future. 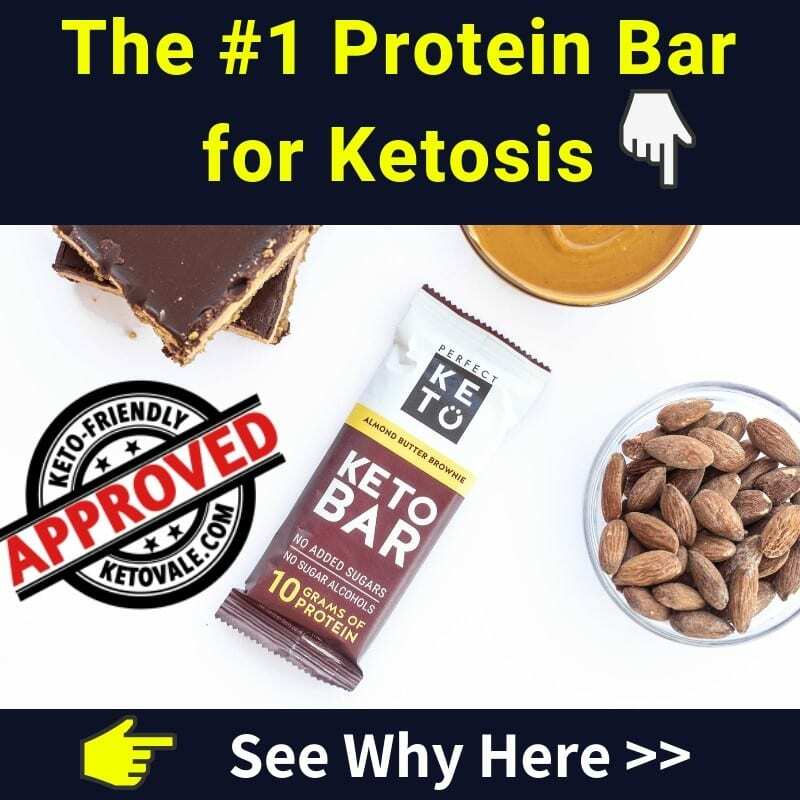 If you’re a ketogenic dieter, you’ll be happy to know that there are some decent low-carb options here, but you have to know how to order them. Applebee’s sets a lot of “traps” by covering its food in sauces and adding crunchy toppings, so be on the lookout for those. We recommend going with a six or eight-ounce steak and pairing it with a side of steamed broccoli or a side salad with oil and vinegar dressing. You can also get a burger with cheese and bacon and ask to hold the bun and any BBQ sauce that might be on there. Stay away from all pasta and taco dishes. Even their stir-fries and salads have rice or tortilla strips. Finally, don’t ruin your dish by adding a cocktail or sweetened drink, even if it’s only a buck. Stick with coffee, unsweetened tea, and water.